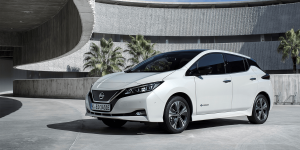 Nissan’s newest vehicle, the BEV Leaf, has been slated for release in a total of 7 additional countries, alongside the already announced market nations, paving the way further to the goal of offering the vehicle in up to 60 countries around the world. The new countries are based around Asia and Oceania, and will have the car on sale during the next fiscal year. Markets include Australia, Hong Kong, Malaysia, New Zealand, Singapore, South Korea and Thailand. Nissan also announced plans to release the car in more regional markets, including Indonesia and the Philippines, but did not announce a date. Delivery of the Leaf began in late 2017 in Japan, followed by the USA and Canada in January 2018. It is planned to go on sale in Europe in February 2018, and plans to release it in further countries will be rolled out as the year progresses.